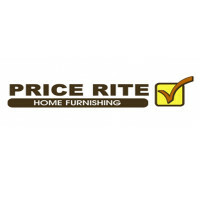 Price Rite is a limited-assortment discount supermarket chain owned by Wakefern Food Corporation. Compared to other supermarkets, the store offers fewer products, focusing solely on the most known and quality brands. They also offer fresh and quality food, which varies, depending on the store’s location. Wakefern Corporation opened the first Price Rite store in the 1980s as a mini-warehouse club. However, their concept failed to attract customers and in 1995 Price Rite was re-branded as a limited-stock deep-discount supermarket. As of 2017, the store had over 60 stores that operate mostly in Connecticut, Maryland, Massachusetts, New Hampshire, New Jersey, New York, Pennsylvania, Rhode Island, and Virginia. Employees here enjoy benefits such as dental, vision, and health insurance, life insurance, flexible spending accounts, store discounts, paid time-off, 401(K) retirement plans, and tuition reimbursements. Price Rite offers a no-frills grocery shopping experience. Employees work in a fast-paced environment that focuses on providing products that are fresh, of high-quality, and inexpensive. How old do you need to be to be employed at Price Rite? For entry-level positions, the minimum age requirement is 16 years of age. These include clerks and cashiers. However, for tasks that involve using equipment, you must not be younger than 18 years old to be considered. The supermarket chain offers a wide array of products, and ensures quality and fresh food. They offer basic entry-level jobs such as front-end sales associates, food handling clerks, stocking and maintenance clerks, warehouse associates, and supervising and managerial positions. Carts Clerk: A Carts Clerk is tasked to provide efficient customer service and to collect carts in the parking area and return them to the designated areas. Other duties include performing routine maintenance and cleaning duties, and handling damaged and returned products according to company policy. Cashier/ General Clerk: A Cashier is mainly responsible for providing front-end service. Duties include greeting customers, assisting customers, and answering questions about the store’s products, handling all payment transactions and operating the cash register, as well as maintaining the store’s cleanliness. Scanning Coordinator: A Scanning Coordinator monitors and handles order placements and incoming products. Duties include coordinating all product orders, overseeing product shipment, incorporating new products into the current product line-up, managing the CGO system, filing reports on product orders and movement, and managing the inventory. Receiver: A Receiver is primarily responsible for managing the warehouse and overseeing all its transactions. Duties include routine maintenance and cleaning of the warehouse, receiving deliveries, handling damaged or returned products, handling all refrigerated and perishable goods according to company policy, and operating various tools and equipment. Stocking Clerk: A Stocking Clerk is primarily responsible for handling the products and the product displays. Duties include stocking, organizing and rotating products in the display, overseeing the storage areas, verifying the accuracy of the pricing of products, handling all damaged and returned products according to set company policy, and receiving incoming product deliveries. Deli Clerk: A Deli Clerk is responsible for overseeing the daily operations of the deli department. Duties include preparing deli products and replenishing stocks according to standard food handling procedures, operating a slicing machine and other equipment, maintaining the safety and sanitation of the products and work stations according to QA standards, managing the refrigeration equipment, and performing proper waste disposal. Seafood Clerk: A Seafood Clerk is primarily responsible for overseeing the daily operations of the seafood department. Duties include complying with procedures on receiving, storing, preparing, code dating, and pricing of seafood items, maintaining the sanitation of the area, complying with standard procedures on food safety and food handling, stocking and organizing the display, and handling all damaged or perished goods. Night Crew Clerk: A Night Crew Clerk works shifts at night and manages all orders and product deliveries. Duties include placing orders, receiving incoming deliveries, stocking products, maintaining the storage, facilities and refrigeration equipment, and observing proper food handling in accordance with standard safety and sanitary procedures. Assistant Manager: An Assistant Manager assists the store manager in overseeing the daily operations of the store. Tasks include recruiting and training new employees, supervising the team during shifts, addressing customer complaints or feedback, overseeing the opening and closing of the store, scheduling and delegating daily tasks, and maintaining the safety and sanitation of the store. General Manager: A General Manager oversees the daily operations of the store and each department. Duties include recruiting and training new employees, supervising the staff, overseeing the storage facilities, implementing strategies to maximize store sales, filing financial and sales reports, processing the payroll, and providing effective and efficient customer service. You can visit any of their stores to file an application and to submit your requirements. You may also apply online, by creating an account on their official website’s job listings page. For online applications, visit their official website and go to the Join Our Team page. Browse through the available positions and create your account to apply. Show your eagerness, enthusiasm, and motivation to work. You may follow-up on the status of your application, but minimize your inquiries to avoid inconveniencing the employer. Your resume must include all your basic information and any relevant trainings and certifications. Make sure to mention your relevant skill sets and highlight the necessary skills for the position you are targeting. During the interview, show your willingness to work for the store and emphasize why you want to work for them. The company also prefers individuals who can thrive in a fast-paced and labor-intensive work environment. The working environment at Price Rite promotes simplicity and efficiency, and puts emphasis on providing excellent customer service. Employees work together to ensure that they can deliver fresh and quality products daily. The store donated $40,000 dollars to the American Red Cross to help residents of Texas, Florida, Puerto Rico, and the Virgin Islands who are still recovering from hurricanes Harvey, Irma, and Maria. The company is known for offering a straightforward shopping experience that is meant to simplify and reduce the cost of grocery shopping. They implement cost-reduction strategies such as minimizing the store décor and refraining from paid advertising. Price Rite has been involved in many charitable causes such as volunteering and donating to the Maryland Food Bank, donating to hurricane relief efforts, conducting fundraising campaigns for disaster relief, and partnering with other institutions for various community involvements. 1 How old do you need to be to be employed at Price Rite?